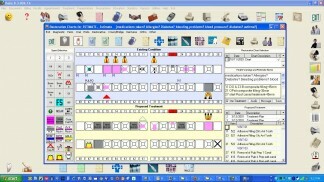 The dental chart allows a graphic representation of what we need to do. The treatment plan is the next dimension of treatment because it provides priority and a time line to the information gathered. Remember “Rome was not built in a day” and sometimes treatment needs to be done in stages, similar to building a house. The foundation begins always with prevention is better than cure. This includes tooth brush instructions, investigating dietary habits, and general health issues. The path to boring is good is to make long term healthy habits. This ensures that the treatment will actually work for the long term. I believe this makes the patient (and the dentist) very happy! The next step is to get the mouth back to being healthy again. Obviously relief of any pain must be done first. 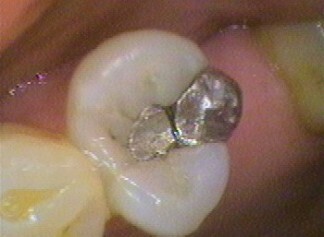 Once this problem (or problems) has been stabilized then the teeth need to be cleaned. This may lead to finding more problems that were hidden under the build up on the teeth. Also healthy gums and clean teeth give the dentist a true idea of how your teeth really look. Any problems with healing after a clean may alert the dentist to early signs of diabetes, bleeding issues, or blood chemistry problems such as low iron levels. Healthy gums make it a lot easier to place fillings without the need to control bleeding gums. An assessment on the long viability of mobile teeth or badly broken down teeth can then be assessed. If need be any teeth that can not be saved are removed before infections can occur. Decay in the teeth need to cleaned out and fillings placed and any broken fillings and cracked teeth protected. This is usually done, if possible, before completing any root canal treatment. This is to ensure that the decay in those teeth does not themselves involve the nerve and lead to more root canals treatments! 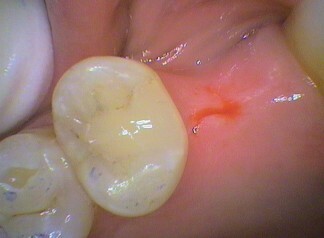 Sometimes in more complicated treatments the bite may need to assessed and improved before more extensive treatments are carried out. As you can see even getting the “foundation” ready for the next phase of treatment can be complicated. Next week we will explore the “building on the foundation” next phase of treatment planning.